With the start of another week we have a look at the downloadable treats heading to Europe in a few days, and this time around there are some interesting new downloads to consider. We have a few Nindie releases, DLC from Nintendo and a slice of N64 gaming on Wii U, while the 3DS also has some notable anime to enjoy - let's get to the details. Plantera (Ratalaika Games, €4.99 / £4.49 or free if you own the 3DS eShop version) - A rather charming 2D title that has previously been released on PC, this one is all about buying and evolving plants and animals for a virtual garden; it looks like a relaxing way to pass some time. Available as cross-buy with the 3DS eShop version. WordsUp! Academy (CoderChild, €2.99 / £2.69) - Previously released on 3DS and now making a pitch for the Wii U audience; this word-centric title has six different modes and multiple languages, with the added bonus of online leaderboards. We had some positives to share in our review of the 3DS version. Maze Break (nuGAME, €7.00 / £6.00) - Another spin on Breakout, which has been surprisingly common from nuGAME on the Wii U eShop, in this case it mixes that block-breaking gameplay with the challenge of working through mazes - as you'd expect with a name like Maze Break. Ogre Battle 64: Person of Lordly Caliber (Square Enix, €9.99 / £8.99) – A fondly regarded strategy title that arrived on the Wii Virtual Console way back in 2010; this was a rare example of its genre on the N64. It has a rather unique look as a result and carries plenty of nostalgic appeal; we adored it in our Wii Virtual Console Ogre Battle 64 review. Plantera (Ratalaika Games, €4.99 / £4.49 or free if you own the Wii U eShop version) - A portable version of the title also out on Wii U, and available in cross-buy. Hit Ninja (Petite Games, €1.99 / £1.79) - This shapes up to be a rather simple gallery shooting game, albeit you're firing shurikens at targets with a Japanese background. Might check out Azure Striker Gunvolt: The Anime. Good to see Wii U return to its usual place at the top of the download update. Last week 3DS was above it in both regions. Will it be relegated to 2nd or 3rd in the list this time next month? 3DS Virtual Console, where have you gone??? I hope Nintendo prices the Switch dev kit a million euro, so all these awful devs like Joindots, EnjoyUp or others won't get it. I'm sick and tired of seeing their awful games on sale on the WiiU eShop every week. Nothing really good for Wii U. No good discounts either. Might take a look at Plantera, especially with cross-buy. @spizzamarozzi So don't buy them. Fingers crossed for the Azure Striker Gunvolt Anime and Ogre Battle 64 making it over to this side of the big blue! @RainbowGazelle cheers for the tip - you must be a genius or something. Still no word on a Butterfly: Inchworm Animation II review, @ThomasBW84? Meanwhile on the PS Store, there's some great discounts with many top titles getting 50% and 75% off. Nintendo really need to step it up and offer good games for sale, not these small cheap indie games which probably don't sell well anyway. I wonder if Nintendo will remove that you have to pay in Swapdoodle in terms of getting all the basic colors, as that's what turned me me off. I wouldn't mind just having to pay for the lessons, but having to pay to get basic colors beside black and red seems a bit too greedy to me ;^^. So hopefully Nintendo improves Swapdoodle so we are more likely to use and really enjoy Swapdoodle :+). 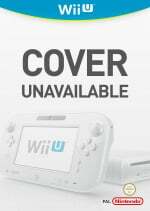 A Virtual Console title for Wii U? And from Square Enix no less?! What swords and sorcery is this?!? Even if it is a Wii catch-up title. Ogre battle it is for me!!!! Didnt expect any more titles for wii u!!! So tempted by Ogre Battle. A series I've dabbled in but never truly in invested. Should I wait and hope for a switch port though? @Kimite I don't think they'll do that. Well, maybe after they stop supporting 3DS and turn off its online features. I mean, they purposely put the basic -once available for free- features behind a DLC. Why would they retreat from that decision now? But if i buy Orge Battle on Wii virtual console i'll get the discount price on Wii U? I know it works when transferring to a Wii U, just dodnt know after that. Man! Hoping we get Ogre Battle here in the U.S. this week too. @KTT To make the service and more appealing to us potential consumers to say it that way, rather than limit us from basic colors and potentially turn us away. I am fine with special colors costing money as well as the lessons like I said :+). I just think charging for basic features as in the basic colors in this case is a bit too much ;^^. Still Swapdoodle is usable and I do use it now and then :+). Yes. You get discount rate if you have it on Wii VC. It's $2 here in America, I assume it is equivalent in UK. @SLIGEACH_EIRE - It's always a matter of opinion, but I'm excited to see Ogre Battle 64 and can't wait to upgrade it to gamepad playable version.....that is if Nintendo of America doesn't let me down. Is anyone else still hoping for a BotW demo? No luck with Secret of Mana or Chrono Trigger coming to Wii U. Already bought the game in 2010 and didn´t play it since that on my Wii. I will upgrade on WiiU so I can play it on the gamepad. Inget för mig denna vecka. This is ridiculous, EU gets eShop releases the same Thursdays as NA and they get announcements Mondays not Thursdays. Ogre Battle 64 better come to NA, one of the best games of all time. Ogre Battle finally! I can really recommend that game! @Kimite There is a reason why they turned the free app into a microtransaction service. People want an app working at its fullest. And by restricting the app, you make people annoyed. And hence, people are more eager to pay, to unlock all the features. On top of that, if you spice that with your popular IPs, people will think it's a great deal. Add to this badge usage, and now you have a small money making machine (your clients spends money in Badge Arcade as well). Currently the app has hidden microtransactions in their DLC. DLC are the tracing lessons and premium brushes. Microtransactions are the basic features, without which the app is quite barebones and limited. Obviously, it would be easier and nicer if we just could buy the ink and the base colors for the smaller price (without the lessons). But then, clients who just want to enchance the app will not buy any DLC - after all, they got their elementar brush pack and ink already. Combining both into one DLC pack was a smart move. Why? Because if a client wants to expand the app, he will have to pay more for the digital colors. And if he just wants the lessons, he think that he's getting the basic features for free. And what's even better, the client is more eager to pay for a pack with less features, if it has the popular IPs. Hence - you can charge even more for your popular packs. Sure, some will turn away seeing this. But seeing how Nintendo doesn't discount the prices in this app, I guess people are still eagery buying those packs, regardless of the price and content. @eltomo Orge Battle 64 was one of the "Import" games on the Wii VC which means it costs 1200 points instead of the usual 1000 for N64 games. Unless you have a spare 200 points spare, you'll be paying £14 to get 2000 points, with 800 to spend on something else, then paying the upgrade fee to have it on your Wii U home menu (And restore points) totally around £15-6 (Depending on if you upgrade that 800 point game as well). @KTT To me to is reverse psychology you could say, as in that I don't want to spend anything at all as I feel it is too greedy ;^^. (I have a hard time getting myself to pay in a free app as in pay to win app in general, which is saving me money I suppose). Actually after checking, I see that I didn't realize a 100% before that by buying one of the lessons I also get all the basic colors, as I thought I had to pay for the premium packs to get the basic colors (Whoops ;^^. Not sure why I didn't realize it right away). Anyway, considering the Wind Waker pack I suppose then, suppose Swapdoodle maybe getting my money then if I decide that it is worth it :+). (I just can't make myself pay in free to play games, but pay to unlock depends). So yeah, I suppose the feature I miss the most now is a 1 pixel polishing brush as that would be really convenient as I like to polish my drawings, so hopefully ^^. Its been this way for the past ten years since the Virtual Console first started. @Kimite Yeah, I'm just waiting for a My Nintendo Platinum Coin discount or something. I just want more ink, because as for now, it empties way to fast than it should. I don't feel like throwing my cash for a digital color in an app that may be as well not supported in a year. Especially if I'm not sure if I can get the purchases back - Badge Arcade for example won't return the badges if your system is broke and you have to do the remote System Transfer. Yes, last time when I saw it, each pack contains the basic colors. At least you can choose the cheapest option to get them. They won't raise your note limit to 3000 though... Nor expand your ink limit. "that arrived on the Wii Virtual Console way back in 2010"
@KTT Sorry that I didn't reply earlier, but Nintendo Life logged me off not that much after I sent the comment to you from some reason ;^^. Anyway, got to say a lot of good points there. A My Nintendo discount or a free buy if possible for the Nintendo Premium pack would be really nice yeah, but I am not sure if Nintendo will ever do that as the last months the rewards haven't been that good. (Beside the Zelda orchestra videos of course :+).). Yeah, it is just digital colors, but at least as long as the service is up we have what we bought no matter what, unlike Badge Arcade where we might buy 5 moves and be really unlucky and get nothing for the real money we spent. I don't think the ink limit bother me too much at the moment, but the message limit might get a bit annoying soon. (Around 120-130 now I think, though it does go up that fast). Also new DLC for Swapdoodle came out today, and I will say those cuties didn't make me less wanting to buy something. So yeah, think about it and at least I get all the basic colors if I buy one of them ^^. CANT see it listed but The Legend of Kusakari is currently half price at £1.99 and gets 8/10 on here a many a great review elsewhere, ive just bought it.